We are back in the hall in Llanfallteg for our Wednesday night practices from the 12th of September. 7.30pm til 9.00. Why not come along and give it a go? 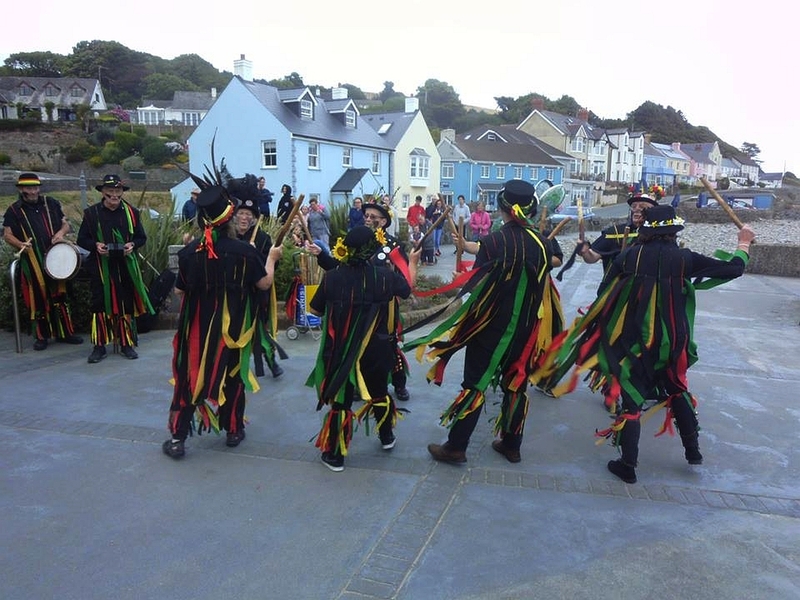 Heb Enw Morris are based on the Carmarthenshire / Pembrokeshire border, drawing members from both counties. Practice night is Wednesday evening between 7.30 and 9.00 in the village hall in Llanfallteg, near Narberth, after which we usually retire for a well-earned drink in `The Plash' next door. New members - both potential dancers or musicians - are always welcome. Why not call in just to see what we're like and maybe give it a go? Please note that during July and August we dance out on practice nights instead of using the hall. We go back to our normal practice sessions in September. Check out the events page to find out where we will be dancing, and why not come along and check us out!